Two weeks ago I started a project to use up some of my scraps. 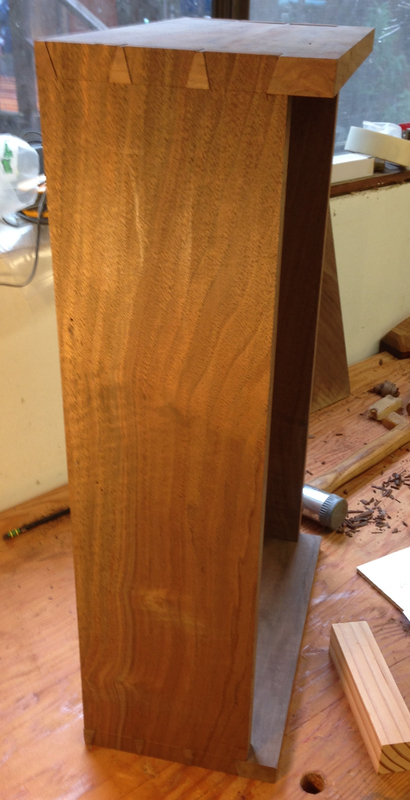 I had a couple of boards of Claro Walnut I’d bought on a whim a few years ago and I decided to use them up. For some reason this project seems to be moving at a snail’s pace. It probably has something to do with not getting out to the shop much lately. Last weekend I finished dovetailing the case. 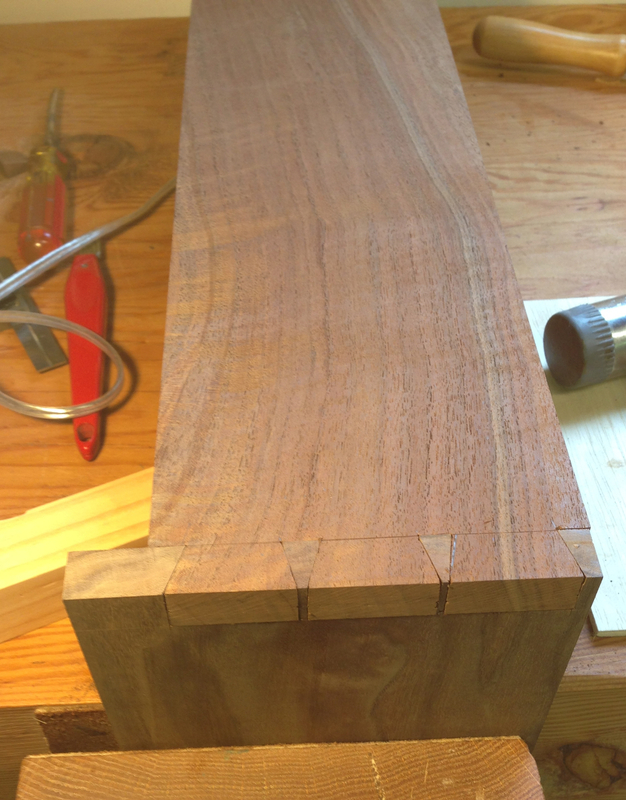 It went pretty smoothly, and my confidence in dovetailing is improving. I’m no Rob Cosman, but I am getting to a decent fit without a lot of fussing and adjusting. The biggest problem I have is with lighting, I guess I’m of an age where my eyesight isn’t what it used to be. Truth be told, it wasn’t ever what it used to be. I need to get some better light over my bench, a shade over the window for when the morning sun is too strong, and maybe a better task light. 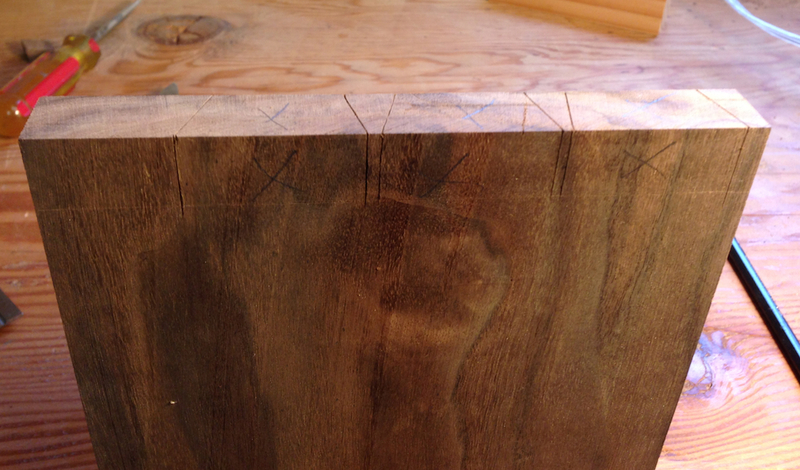 Layouts on dark woods like Walnut are a little hard too. 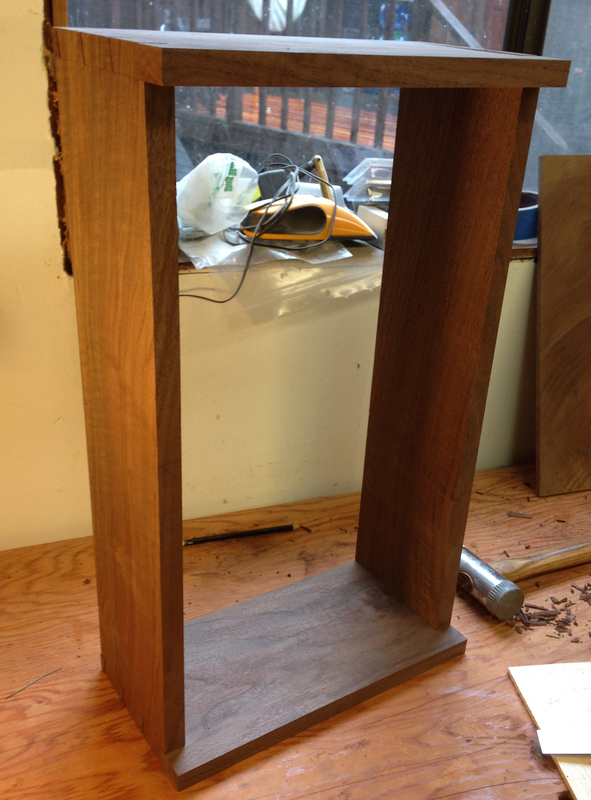 The pieces of Walnut I’m using for the sides are nice. They have some interesting streaks of color that I oriented at the back, and a little patch of curly grain that will be at the front/top. 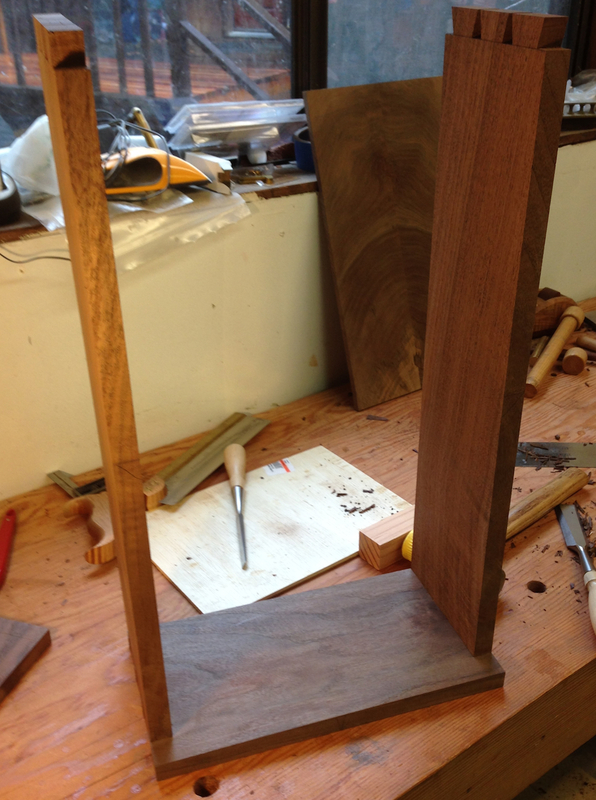 I dry fit the cabinet, and started cutting the stock for the door frame. I’ve been re-reading one of my Krenov books and I’m doodling ideas for some details I want to incorporate into this cabinet. Hopefully I’ll have a little more time this weekend and make some good progress on this project. Looking good! I need to learn to make my pins thinner. I’ve been forcing myself to do that. I need to change the angle on mine, I’ve been using 14 degrees, but more and more I think it make the pins look too wide still. Next time I’m going to use a shallower angle.